Dr. Shawn Berman is the newly appointed Associate Dean of the UNM Anderson School. He is the Anderson Alumni Endowed Professor of Management in the Department of Organizational Studies and serves as a Bill Daniels Business Ethics Fellow. Dr. Berman came to UNM Anderson in 2007. Previously, he served on the faculties of Boston University and Santa Clara University, where he served as a Fellow to the Markkula Center for Applied Ethics. He earned his PhD in Strategic Management from the Foster School of Business at the University of Washington and holds a BA from Occidental College. Dr. Berman has published or presented more than 90 papers and is the author of five book chapters. He is one of the leading scholars in stakeholder theory, examining the relationship between a business and its stakeholders, such as shareholders, customers, and suppliers. His work has been cited more than 4,000 times according to Google Scholar. His research has been nominated for, and won several awards, including the “Article of the Decade,” for the years 2001-2010 in the journal Business & Society. 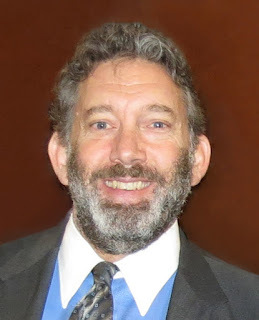 Dr. Berman is also active in professional service, serving as the Division Chair (President) of the Social Issues of Management Division of the Academy of the Management, the premier organization examining the role of business in society, with more than 1500 members internationally. He has also won several awards for his teaching and recently served as one of the inaugural Distinguished Teaching Fellows at UNM’s Honor College. Dr. Berman takes over the position from Dr. Rob DelCampo who served as Associate Dean since January 2011. Dr. DelCampo is a professor of organizational behavior and the newly named director of UNM’s Innovation Academy.